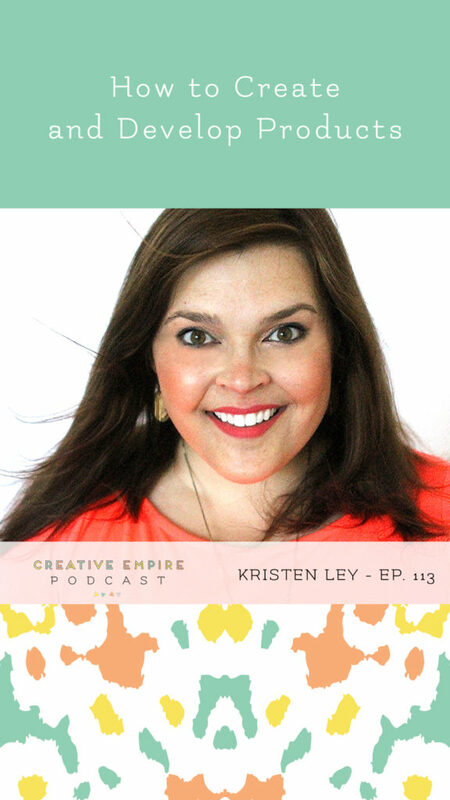 This Creative Empire podcast episode Reina and Christina interview Kristen Ley who is the founder, owner and creative director of Thimblepress. Kristen discusses how she develops and creates names for products by sharing her go-to ways of brainstorming, such as having others help you by playing games that she lines out in the episode. The three then chat extensively about resting, giving yourself permission to take breaks in your business, and why it can be beneficial. Lastly, Kristin shares how she answers questions about how her products are made. Kristen Ley is the founder, owner and creative director of Thimblepress. Thimblepress creates fun and functional products that Help elevate your space and celebrate life's moments. Thimblepress products are sold online, but also available at retailers like Anthropologie, Paper Source, Urban Outfitters, and most recently at Target with an exclusive collection of products. Kristen loves color and celebrating even the smallest of life's moments. You may have even celebrated with their signature Push-Pop Confetti®, or even journaled & tracked your days in their colorful Day Dreamer planner. Thimblepress operates out of 7000 square feet in downtown Jackson, Mississippi. When Kristen isn't dreaming up her next creation, she spends time with her two goldendoodle babies, Willow and Henry.